Choosing the right pet friendly hotel is important, and Monterey offers a range of choices, from bed and breakfasts to modern beachfront lodgings. Be sure to double check the hotel’s location and pet services before reserving rooms. 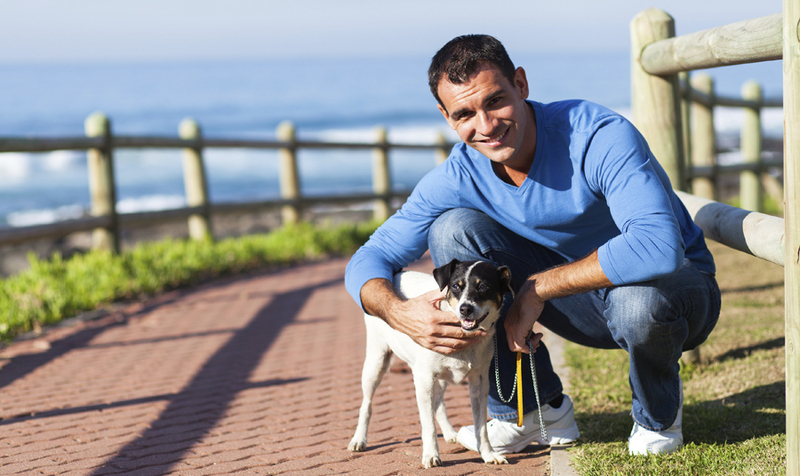 Monterey offers plenty of pet friendly lodging options, but planning early is key. Make sure to call the hotel well in advance to book your rooms and verify the hotel’s pet policy. Don’t forget to ask about any extra charges. Summer is the most popular time to visit Monterey, so expect crowds at some of the top attractions. Many whale watching charters allow dogs onboard, while local beaches are less crowded during slower months. Planning a trip outside of the high season is advised. When traveling with your pet, be sure to bring along only the basic necessities, like food and water bowls, clean-up bags, a pet bed or blanket, and a leash. Dog food and treats can be purchased locally, unless your pet requires a special diet. Never leave your dog alone in your Monterey hotel room unless the hotel manager has approved it first. Even the best-behaved dogs can get bored and cause costly damage to the room or your belongings. Be sure to pick up a local Monterey area map to find places where you and your pet can get out and enjoy some play time together. Monterey is home to several beaches and parks that are dog friendly. There are even plenty of walking and hiking trails available. Be sure to follow leash laws at all parks and beaches. Everyone appreciates a considerate dog owner, so be sure to clean up after your pet. Bring clean-up bags along with you or purchase them at a local Monterey pet store like PetSmart or PETCO. Monterey is home to plenty of dog friendly restaurants, so finding a comfortable and welcoming place to eat out with your pet is relatively simple. Be sure to call ahead and verify the restaurant’s pet policy if you are unsure. Call the local SPCA, training club or visit www.bringfido.com/event/ to find out about special events for pet owners and their dogs, like Poodle Day in Carmel or the Bay Area Pet Expo in San Jose. No matter what time of year you visit, Monterey has something to offer pet lovers and their furry friends. Plan a vacation or weekend getaway in Monterey today and enjoy making memories with your favorite furry friends surrounded by the majestic natural beauty and rich history of Monterey and the Central Coast.